Sodick Technologies India Private Limited (Sodick India) is a subsidiary of Sodick Co., Ltd. Japan. Sodick India, at the moment the company is designed to mainly market and provide after sales support for ‘Sodick’ brand Electrical Discharge Machines (EDMs) and automated systems. The products of the company find application in automobile, aerospace, medical, electrical, electronic industries and many more. Since Oct 2006 to acknowledge the above, Sodick India team has developed good working relationships with clients and established a system to handle significant amount of business in India, with several offices across the country to regionally balance the customer support. The organisation fosters an environment of professionalism and has well qualified, experienced engineers and technocrats with commendable knowledge of the industry. Sodick Co., Ltd was established in Aug 1976, in Midori-ku, Yokohama City under the law of Japan. 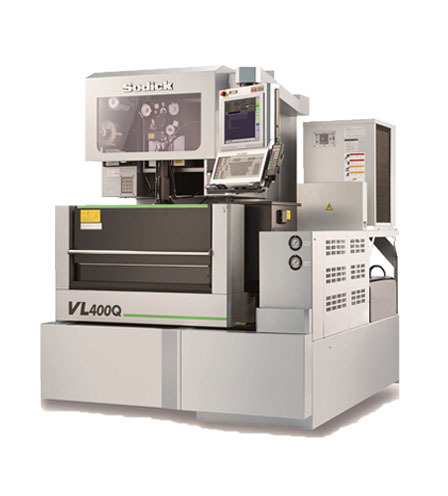 The Sodick Group, based on its Total Manufacturing Solution concept, assists with all manufacturing processes ranging from CAD/CAM product design to machining of dies, molds and parts by electrical discharge machines (EDMs) and high speed milling centers, surface finishing with electron beam machines, and forming with injection molding machines. Sodick has always stood reputed, trusted and one step ahead than its competitors with quality and technological superiority. ‘Sodick’ brand Electrical Discharge Machines have been sold in India for the past 30 years, initially through agents and lately through Sodick subsidiaries. Sodick Co., Ltd has manufacturing plants in Japan, Thailand and China. Please visit global website www.sodick.jp to know more about Sodick and its group companies.